School Education Department – Sanction of special funds for an amount of Rs.25.04 Crores for maintenance/ repairs to the existing toilet blocks and improving water supply facilities in APR Institutions under Capital Grants head – Administrative sanction – Accorded – Orders Issued. 1. From the Secretary, APREI Society, Hyderabad, Rc.No.Engg/A4/160/83-15, Dated:00.08.2015. 2. From the Commissioner of School Education, Hyderabad, Lr.Rc.No. 1367/RMSA/2015, Dated.18.11.2015. In the references cited, the Secretary, A.P. Residential Educational Institutions Society, Hyderabad has requested to sanction of special funds for an amount of Rs.25.04 Crores for maintenance/ repairs to the existing toilet blocks and improving water supply facilities in APR Institutions under Capital Grants head. 2. 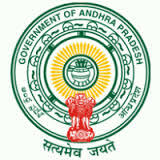 After examination of the proposal, Government hereby accord administrative sanction to the proposal of the Secretary, A.P. Residential Educational Institutions Society for sanction of special funds for an amount of Rs.25.04 Crores for maintenance/ repairs to the existing toilet blocks and improving water supply facilities in APR Institutions under Capital Grants head, subject to release the said funds from Director of Works Accounts. 3. The Commissioner of School Education, A.P. Ibrahimpatnam is requested to furnish re-appropriation proposals for requirement of the said amount. 4. This order issues with the concurrence of Finance (FMU.EDN) Department vide their U.O.No.41021/39/2016 (FMU.Edn. ), dated 20.09.2016.